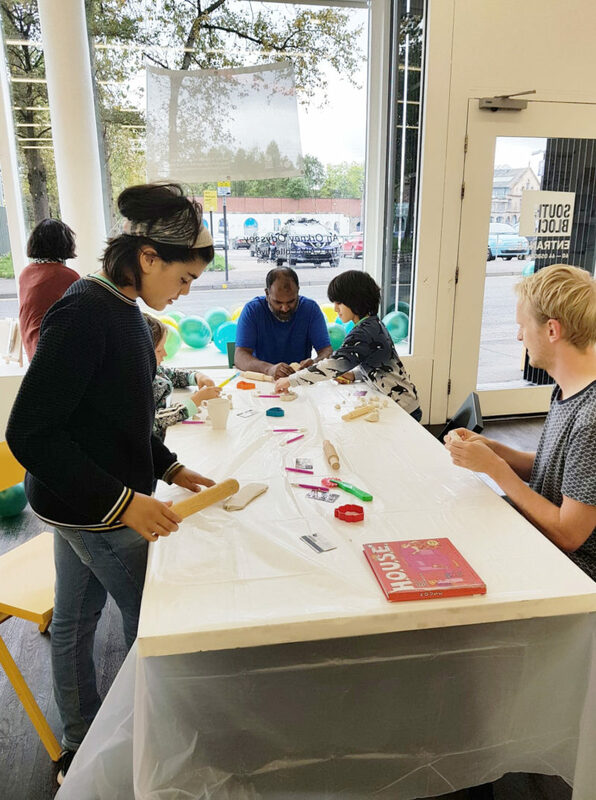 As part of Glasgow Doors Open Day 2018, Hoskins Architects' welcomed over 75 visitors to our workshop ‘Dream House’ on 15/09/18. 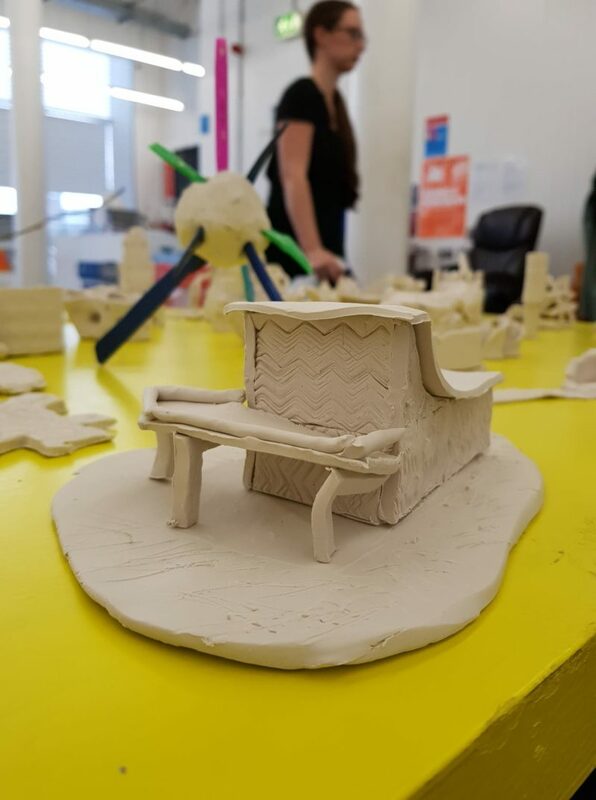 Guests had a chance to design & model their own ‘Dream House’ from plasticine. Throughout the day, thanks to the fun and creative imagination of all our visitors, an impressive landscape was constructed! We’d like to thank everyone who took the time to stop by and let their creative juices flow, we hope you enjoyed it as much as we did! A special thanks to Brian McGinley from McGinley Bell, for stopping by and showing us some of their up and coming projects and talking us through the award winning refurbishment of SouthBlock. To keep up to date with the goings-on follow us on Twitter @Hoskins_Arch for future news and other events. At the end of a glorious and decidedly ‘un Scottish’ summer, Hoskins Architects held our annual studio party in Glasgow last night. The event was a chance to welcome friends and colleagues old and new, and celebrate the achievements of the previous 12 months with drinks, nibbles and convivial conversation. This year, the party also marked two specific milestones: the 20th anniversary of the founding of the practice and the appointment of three long time team members to the board. We are delighted to announce the directorships of Gordon Gibb, Nick Van Jonker and Sophie Logan. They join existing directors Chris and Jen in Glasgow and Thomas and Gabriele in Berlin, and we look forward to meeting the challenges and opportunities of the next 20 years together. 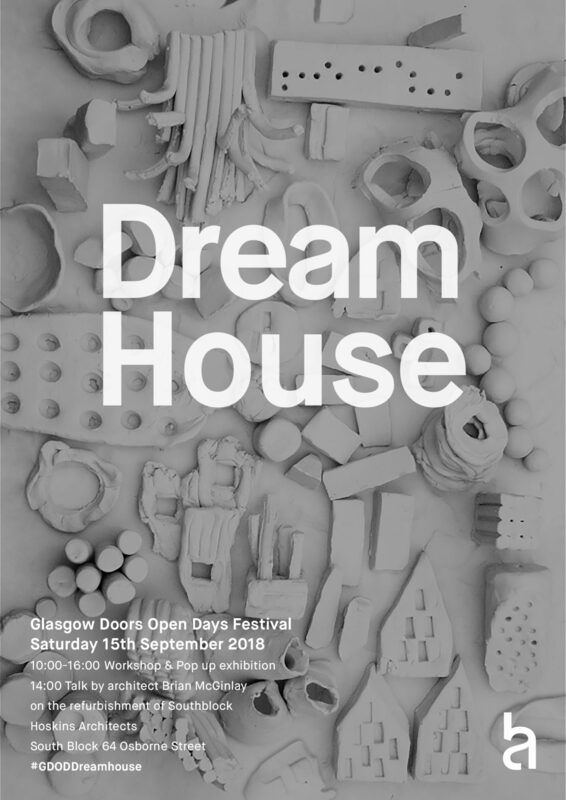 As part of Glasgow Doors Open Days 2018, come and visit Southblock to see Hoskins Architects’ pop up exhibition ‘Home’ & get involved in their drop-in ‘Dream House’ workshop. Be it an underwater tower block, a bungalow in the sky or Chewbacca's holiday home - get designing! 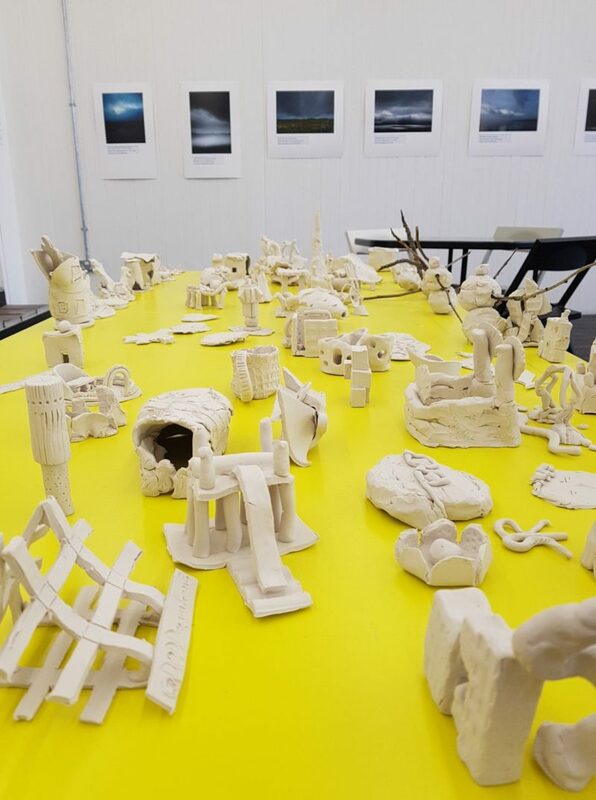 Visitors will have the chance to design & model their own dream house from plasticine which will become part of a large landscape that is constructed over the course of the day. Hoskins Architects will use the process to explain how the design of buildings and the spaces between them can contribute to improving our lives. The activity is targeted at all ages, skills and abilities. The workshop is accompanied by an exhibition of houses by MacKay-Lyons Sweetapple Architects & Hoskins Architects, first shown at the Royal Scottish Academy in 2016. 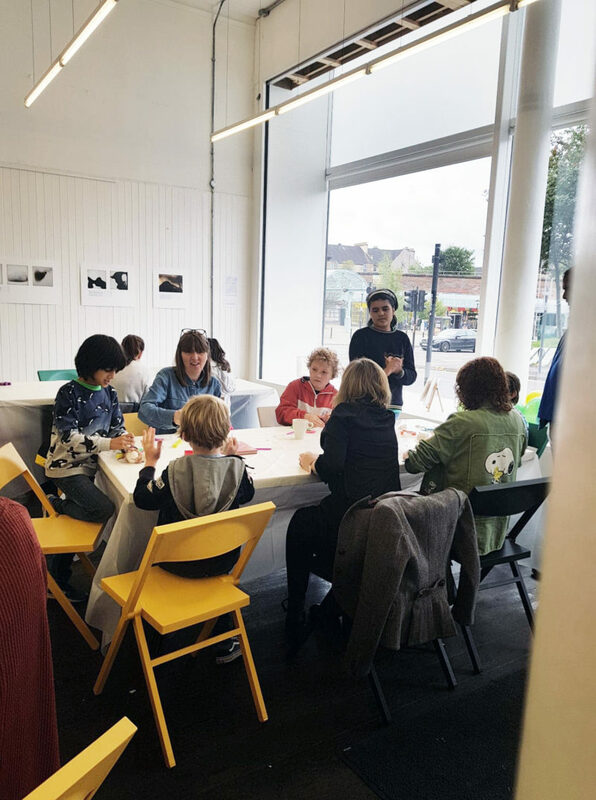 In addition, at 2PM in the gallery space, architect Brian McGinlay will talk about the award-winning refurbishment of SouthBlock, undertaken by Nord Architects on behalf of Wasps Studios. All materials will be provided. Children are required to be accompanied by an adult. Booking is NOT required. Places will be allocated on a first come first served basis on the day. Work has begun on a new Hoskins Architects designed centre at Strawberry Field, Liverpool, where John Lennon once played as a child. The project, being undertaken by church and charity The Salvation Army, will see the creation of the first ever visitor facilities on the world-famous site, alongside a vocational training and work placement hub for young people with learning disabilities and is expected to complete in the summer of 2019. The 1,350m2 building has been designed to maximise views and physical connections to the mature ‘park’ setting. 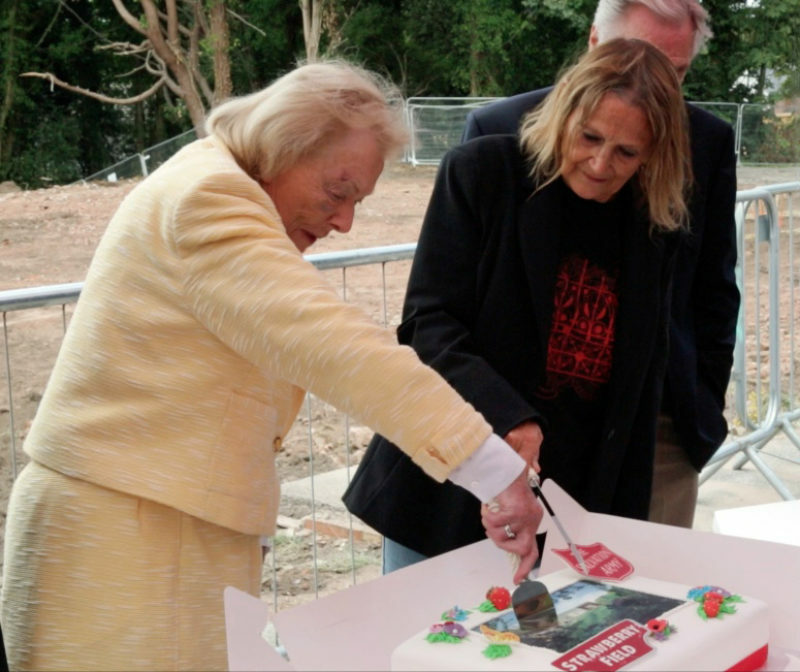 The visitor attraction, telling the story of Lennon’s childhood connection with Strawberry Field, will be located to the north of the site, visible from the famous red gates at Beaconsfield Road and comprises exhibition area, glazed shop and café. The ‘Steps to Work’ training facility will be located at the more private, southern end of the site. Generous shared stairs at the heart of the building are designed to encourage interaction between building users, while a large over sailing roof plane will create sheltered edges and physically unite the elements to create a pavilion in the park. A ground-breaking ceremony took place on the 31st of July, with Major Roger Batt, The Salvation Army Divisional Leader welcoming Julia Baird (John Lennon’s sister and Honorary President of the Strawberry Field project), Lady Judy Martin OBE, Cliff Cooper (Founder and CEO Orange Music Electronic.co) and young adults who are amongst the first group of trainees to pass through the Steps to Work placement hub. In the same week construction work began on-site on the much-anticipated Birthplace Project to transform The David Livingstone Centre into a world-class visitor attraction in Blantyre, the civil parish in South Lanarkshire, Scotland, after which Malawi’s second largest city is named. 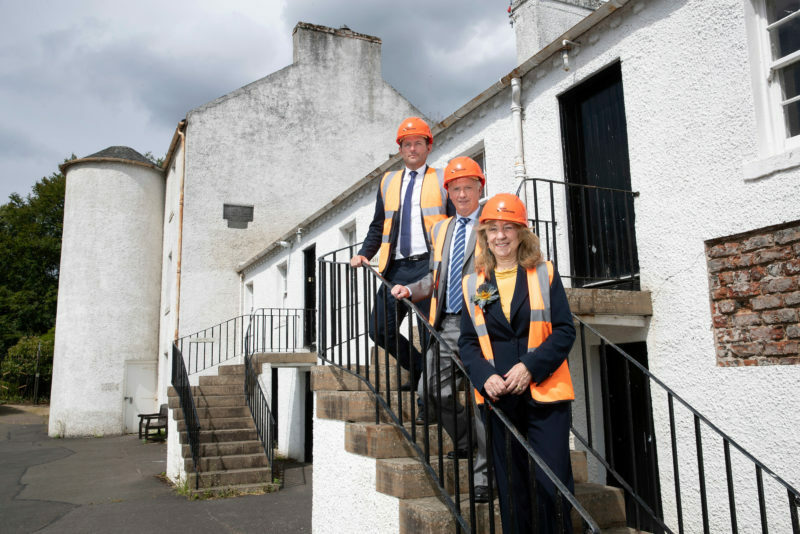 Hoskins Architects has been working with the David Livingstone Trust to restore and renovate the site which includes the iconic Shuttle Row mill-workers’ tenement where the legendary explorer and missionary was born and raised. The Birthplace Project is jointly funded by The National Lottery through The Heritage Lottery Fund, the Scottish Government and Historic Environment Scotland. 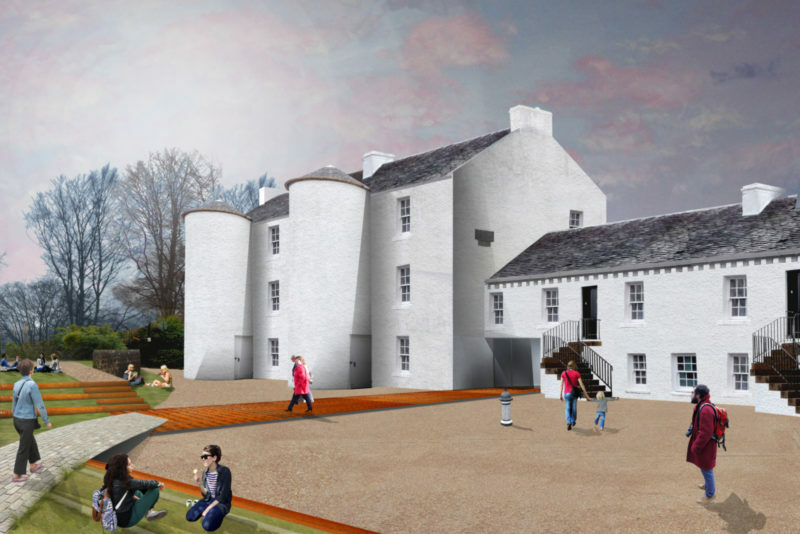 The funding will see David Livingstone’s birthplace redeveloped to provide a vibrant new museum, setting Scotland in a global context and celebrating the inspirational story of how a poor millworker became one of the most popular British heroes of the Victorian era and a hero of some Sub Saharan African countries today. 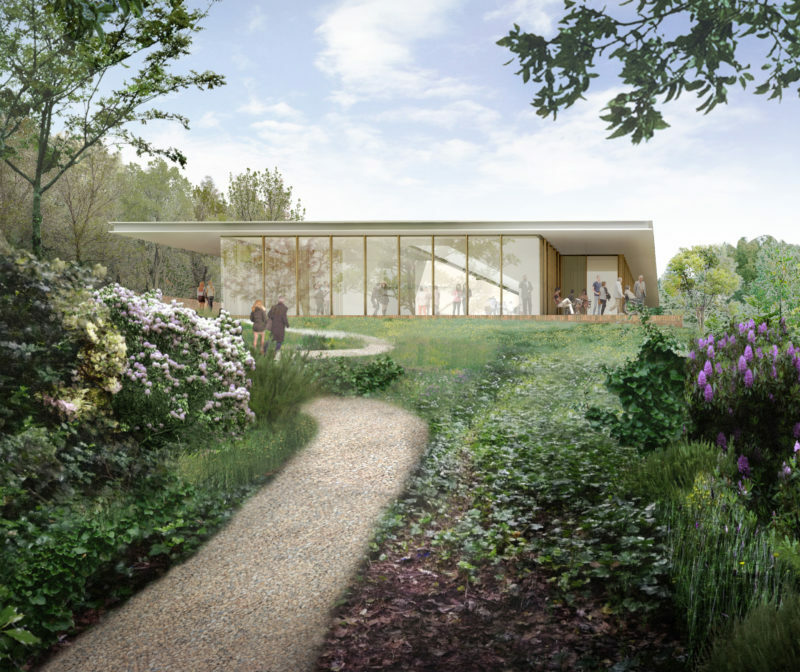 The project will include the renewal of the historic buildings, a newly interpreted exhibition which will showcase artefacts from the Trust’s collection of 3000 objects and an upgrade of visitor facilities such as the café and shop. David Livingstone is considered to be of great international importance in terms of his contribution to science, exploration, faith and humanitarianism. Born in 1813 in a cramped mill home, Livingstone started his working life aged ten with 12-hour shifts in the cotton factory. However, his passion for education, exploration and his deep faith led him to Christian missionary work and 30 years of exploring Africa, often in places where no European had previously ventured. His discoveries – geographic, technical, medical, and social – provided a complex body of knowledge that is still being studied today. The respect he gained from Sub Saharan individuals, such as Chief Sechele of the Bakwain people, opened the door to missionaries who introduced education and health to the local people, inspired abolitionists of the slave trade, and influenced European and Western attitudes towards Africa. 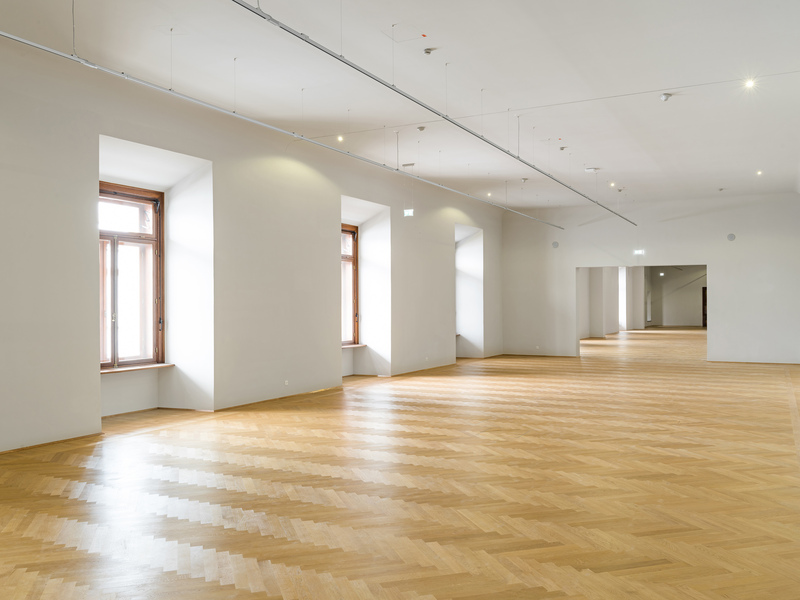 Following on from our Weltmuseum Wien project, Hoskins Architects is currently overseeing completion of works in the neighbouring Neue Burg to create exhibition space for the new House of Austrian History (Haus der Geschichte Österreich – hdgo). 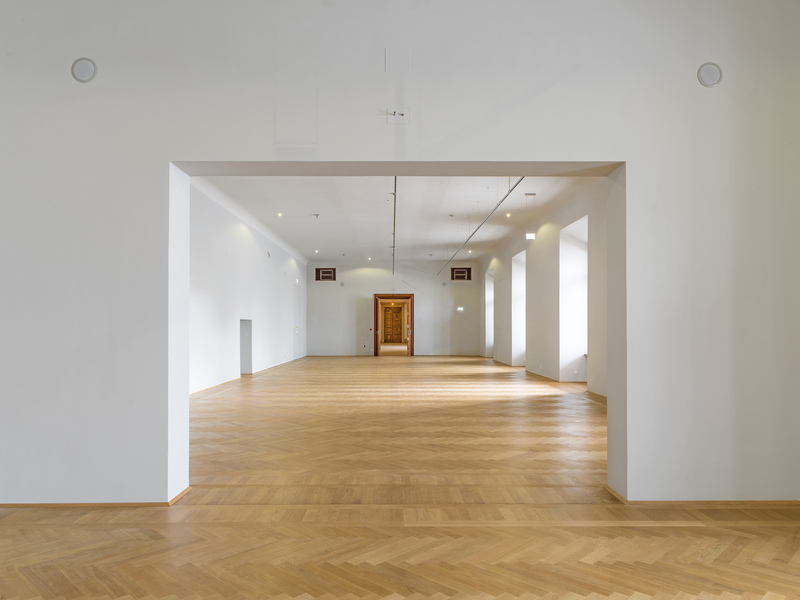 The museum – the first museum in Austria to focus on contemporary history – will open to the public in November this year. Operated by the Austrian National Library, the museum invites visitors to examine Austria’s history in concisely recounted and contemporary presentation. Starting with the foundation of the democratic republic in 1918, the exhibition focuses on social change and political fault lines. Questions aimed at the past yet relevant to the present aim to highlight courses of action for the present and future. 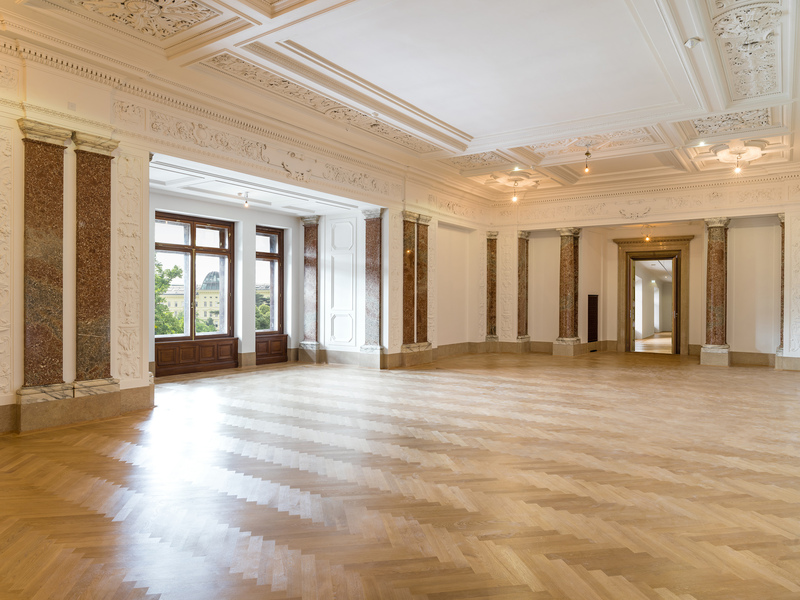 Designed to be a discussion forum for the whole of Austria, the House of Austrian History attaches special importance to European and international networking. The inaugural exhibition, with the working title “Austria 1918 – 2018”, discusses the developments of the last one hundred years, showcasing exciting objects and encouraging an examination of the central themes of Austrian history. On Monday 26th July Hoskins Architects were delighted to hand over circa 1,800 m² of comprehensively renovated exhibition space to enable the museum to begin fit-out works for the exhibition, whilst continuing work on the wider elements of the project including the careful insertion of new access and escape routes into the historic fabric of the Neue Burg. In April 2018, the consortium of Hoskins Architects (Design Architect), Ralph Appelbaum Associates (Exhibition Design) and Wenzel + Wenzel (Executive Architect) were awarded the Europe-wide tender for the renovation and conversion of the Fortress Marienberg into the Museum für Franken - Staatliches Museum für Kunst- und Kulturgeschichte in Würzburg (State Museum of Fine Arts and Cultural History). The project includes the internal restructuring and redesign of the entire core castle, an area of more than 17,000 m². The new permanent exhibition area of the Museum for Franken will comprise approximately 4,000 m². Additional space is planned for special exhibition areas, visitor infrastructure, a depot and administration. Fortress Marienberg shapes the image of the city of Würzburg from afar. The origins of the fortress date back to the 8th century. From the 13th to the 18th century, the fortress was the seat of the prince-bishops of Würzburg. In the 17th century, the castle was expanded as a baroque fortress. Following heavy destruction during the Second World War, the post-war years saw the slow rebuilding and, in addition to museum use, the use of various sections by various institutions, including as State Archives and as a Conference Centre. As part of the conversion to the Museum für Franken, the entire fortress complex is gradually being renovated to meet the current requirements as a museum location and visitor attraction. Locating the Museum für Franken in the Kernburg, at the heart of the fortress, is the most important building block in these far-reaching plans. The Museum für Franken was formerly known as the Mainfränkische Museum. In January 2017, it came under the responsibility of the State of Bavaria, who is financing the reconstruction work. Under the name Museum für Franken – Staatliches Museum für Kunst- und Kulturgeschichte in Würzburg, the museum will, when complete, present the history and culture of Franconia, a large region in south central Germany, including the history of the city of Würzburg and will extend the scope of its collection to the present day. The museum collections include, among others: the world's largest collection of sculptures by Tilman Riemenschneider (1460-1531); an important collection of paintings; an archaeological collection with evidence of prehistory and early history of Franconia; the highly significant Kilian banner of 1266; an extensive art collection with furniture, faience, gold and silver work from the Franconian area; and two impressive city models of medieval Würzburg and of the city destroyed by fire-bombing in 1945. For Hoskins Architects and Ralph Appelbaum Associates, the project is the third collaboration on a major museum in a listed building following on from the Scottish National Museum in Edinburgh (2005-2016) and the Weltmuseum Wien in the Neue Hofburg, Vienna (2013-2017). 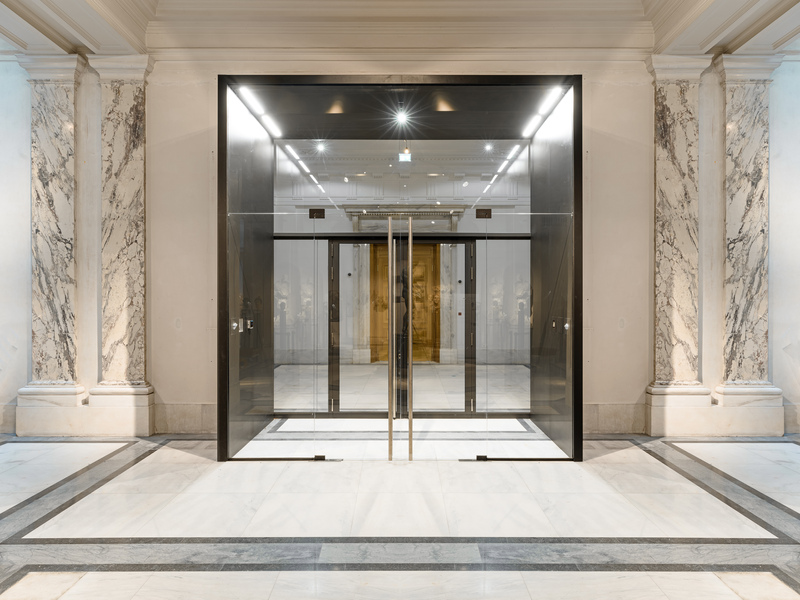 With Wenzel + Wenzel, an experienced partner has been found for the implementation of the project, who have already proven their quality in many museum projects, most recently at the Historical Museum in Frankfurt and the James Simon Gallery on the Berlin Museum Island.